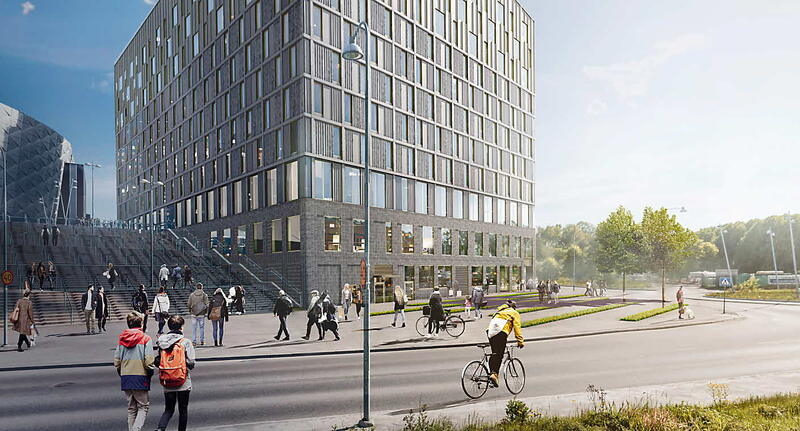 We’re building Scandinavia’s first zero-energy hotel in Arenastaden. 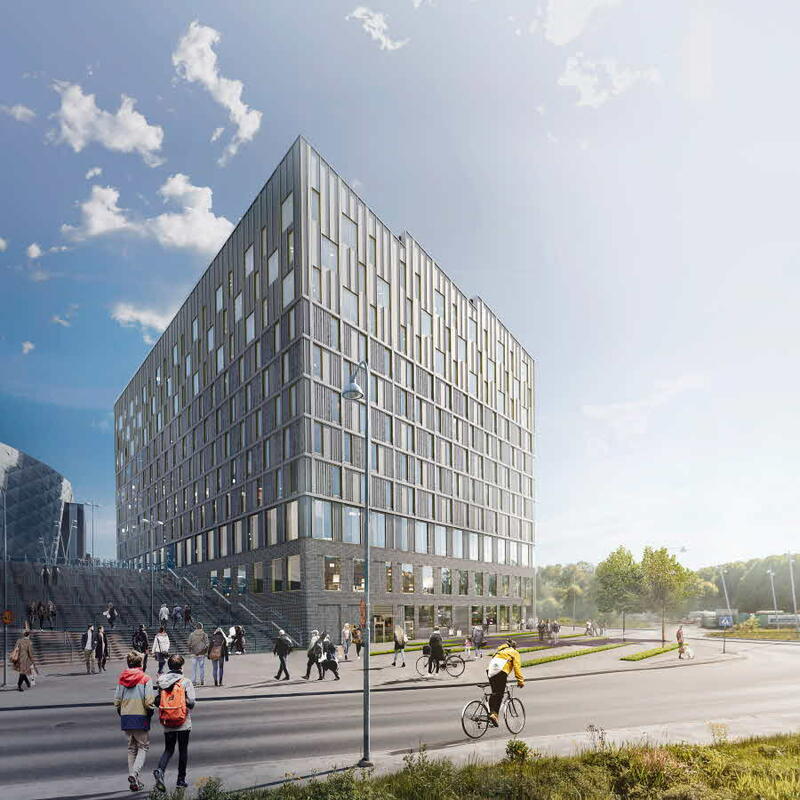 The hotel will be part of Nordic Choice Hotel’s Comfort Hotel chain, with 336 rooms, 88 long-stay apartments and Nordic Choice Hotel’s Swedish headquarters. 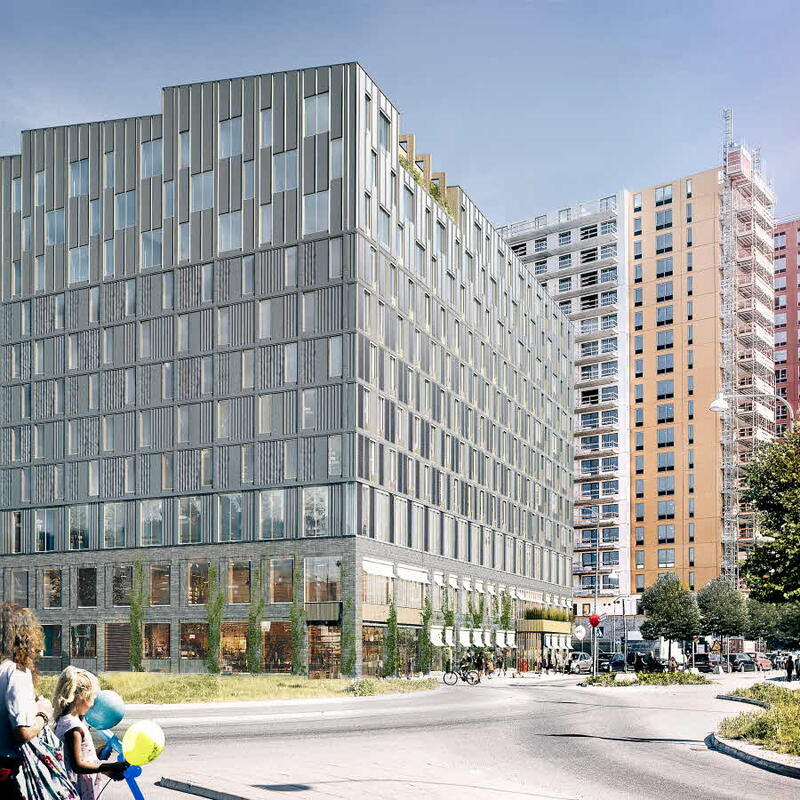 Some 21 geothermal energy boreholes along with a total of almost 1,800 sqm of solar panels on the roof and 1,000 sqm on the facade will produce more energy than the property will consume. 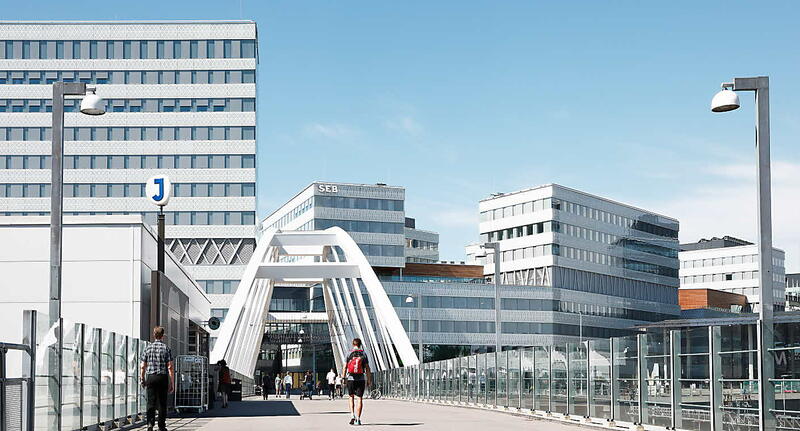 The 11-storey building has been designed by White Arkitekter. A visit to the hotel will provide inspiration for sustainable living, whether you’re staying the night at the hotel, renting a long-stay apartment, working out at the gym or working at the office. 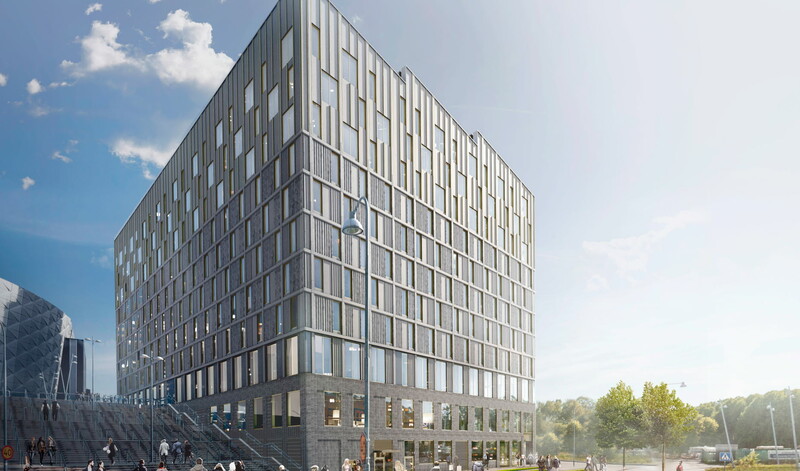 The building will stand out in Arenastaden due to its angled design and its dark grid cladding. The facade features an urban brick base. 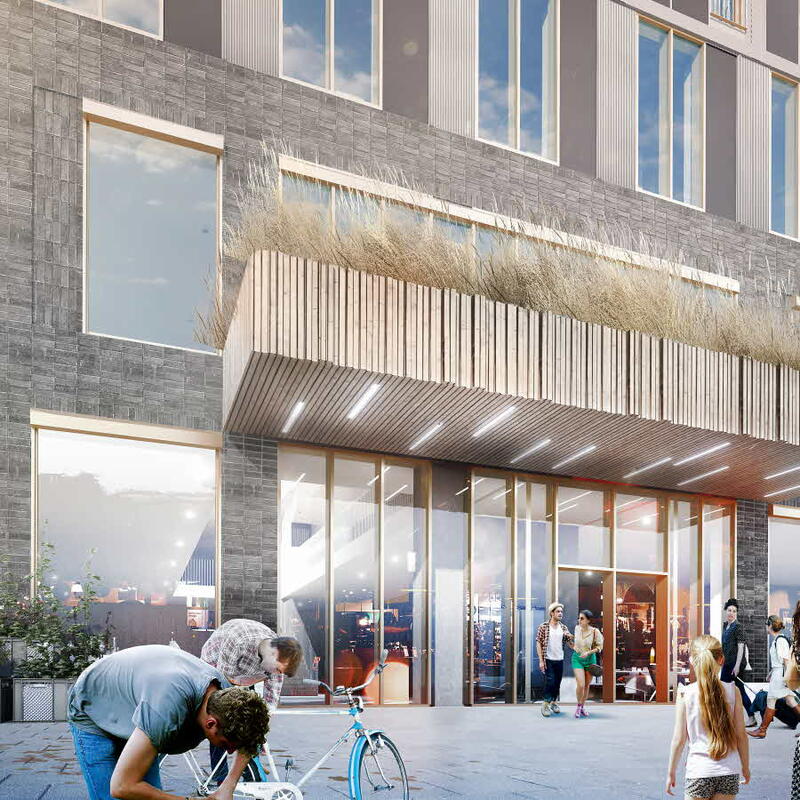 A framework with integral solar panels and facade lighting and featuring a bright upper section that contrasts with the building’s muted exterior. It’s a cohesive unit with a staggered roof, reflecting the project’s strong energy profile and numerous solar panels. The area is being opened up for visitors using lobby spaces that create a new social link from the Friends Arena level down to Lake Råstasjön and Evenemangsgatan. The link aims to encourage flexible use of offices, restaurants, gyms and event spaces. A hotel where you’d like to extend your stay. The stunning facade blends in well.